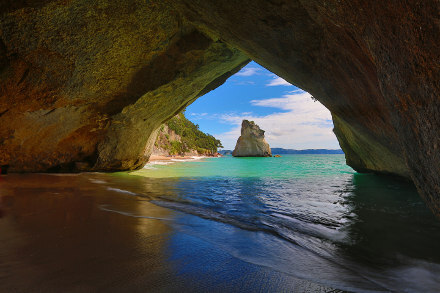 New Zealand is an independent explorer’s paradise with abundant, easily accessible natural wonders ranging from geysers to glaciers. It’s an ideal location for a self-drive holiday and certainly road travel is the most popular way to venture around this island country. Navigation is easy, camping infrastructure is plentiful, and traffic in the countryside in many places is almost non-existent meaning driving in New Zealand is an easy transition for the first time international driver. What Kind of Driving License Do You Need? New Zealand roads are notoriously narrow, windy, and hilly. There are few motorways outside of major cities meaning it’s often just one lane in each direction without a centre barrier. Remote roads may be unsealed which may then be disallowed by your hire contract. Because of the narrow roads, beautiful places to stop, and sometimes other holiday makers who are also out enjoying the beauty of New Zealand, everything takes longer than you’d think. Allow extra time for unexpected delays – such as the stereotypical flock of sheep crossing the road – but also so that you have time to enjoy the countryside as you get between points A and B. Always pull over if you’re one of the slower drivers to let others pass. Rest areas are frequently found along New Zealand’s roadways and are well maintained. New Zealand is known for its ability to let you experience all four seasons in the span of just a day. Keep your eye on the forecast as the day progresses and always plan for the possibility of weather affecting your driving routes. The South Island does get snow and ice in winter, early spring, and late autumn and it’s well advised to carry chains in mountainous areas. While mobile coverage will be available in most areas, there are always isolated pockets in remote areas where your service may potentially be spotty. The good news is that the country’s road route network is fairly intuitive and regional tourist maps are easily located. If you’re using your smartphone for directions, it’s advisable to download the map area first so it is available offline, or set it up when you’re in a larger town. New Zealand has well marked public waste dump stations and they are also usually available at major holiday parks. Updated information in this regard can be found through the New Zealand Motor Caravan Association. Kiwi’s drive on the LEFT. Be mindful of the speed limits. The open road limit in New Zealand is 100km and in built up/ urban areas it is 50km. New Zealand uses standard international road signage, however if in doubt you can always update your knowledge by taking this test prepared for tourists. Do not overtake on a solid yellow line. The majority of roads in New Zealand have a single lane each way and it is best to wait until there is a passing lane. It is illegal to pull over or park on the right side of the road. (You can parallel park only in the direction of traffic). Seatbelts are required for all occupants of a vehicle. Check your priority on one lane bridges – you’ll be sure to encounter a lot of them. Be mindful at rail crossings as they frequently do not have automatic alarms. Flashing red lights means a train is coming; stop and proceed only when the lights stop flashing. Other types of crossings are signed ‘Railway Crossing’, ‘Give Way’, or simply with a standard Stop sign. These crossings require you to stop, look both ways, and cross when the tracks are clear. For all up to date road rules in New Zealand, check out the NZ Transport Agency’s guide here. If you’re eager to get a feel for driving in New Zealand, have a go at this interactive tool created by AA for tourists. 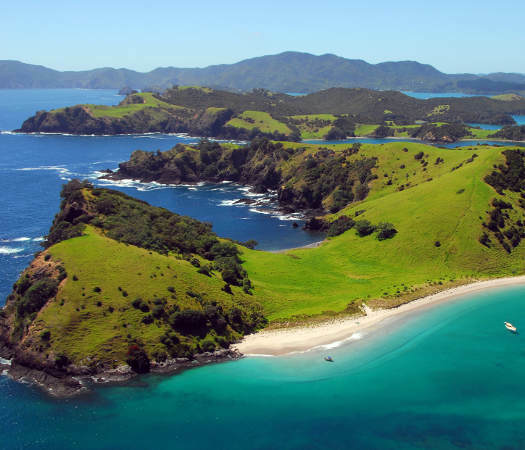 New Zealand is the perfect location for a self-drive holiday in a campervan or motorhome. With road trips so popular in New Zealand there are many options for both cars and campers. It’s important to think about what you want more from your vehicle and pick what works best for your plans and budget. Remember that early research will allow you the most options. The iconic way to see New Zealand is certainly by camper. By carrying your accommodation with you, you’ll never need to unpack and you’ll always have a place to stay. More campsites are available for campers than tents and you’ll to make your own meals which is quite useful in remote areas. There are however some challenges in that the roads – as mentioned above – are narrow and windy. Take it extra careful if you’re a novice at driving a camper; make every motion slowly and turn corners with care. Remember that you’re longer, wider, and taller and allow more room than you think you’ll need when slowing or stopping. Parking can be especially tricky especially in larger population centres- don’t hesitate to ask a passenger to assist. For information about parking, NZ’s tourist information centre network, iSite, is an excellent resource. 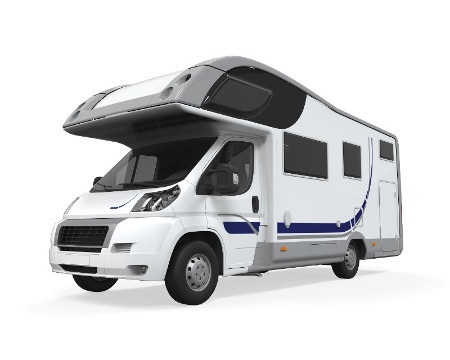 Compare campervans over 20 brands in New Zealand using our comparison tool. International visitors are often surprised how easy- and enjoyable- driving a car can be in New Zealand. If you’re set on an automatic transmission, they are readily available. Accommodations are easily found and at a variety of price points including comprehensive motel networks, full service hotels (in cities), hostels, and direct-by-owner services such as Airbnb. Camping is a favourite choice of many visitors as well as the locals, and it’s possible to do so with just a car. A tent is sometimes an option to have included with your car hire or some vehicles such as station wagons can be converted into beds for the evening. Some holiday parks rent out cabins as well, but do note many camping reservations will be pre-booked early on for peak travel times such as summer, school holidays, and public holidays. Fuel prices in New Zealand do vary throughout the country, up to 40 cents per litre, with the South Island being the most costly. The difference between North and South Island fuel costs can be quite substantial, so if you’re heading from North to South you’d do well to fill up in Wellington before making the trip across the Cook Strait. In general, when travelling out from a population centre into an area that’s a bit more remote, always fuel up first – as petrol station hours may be more limited in the countryside, especially on Sundays, in the evenings, and on public holidays. The New Zealand Automobile Association (AA) provides up to date information on fuel prices in New Zealand through their website as do apps such as Gaspy and Fuel Watch. A great way to save money on fuel is filling up just after you’ve done your big supermarket trip. Often, the larger supermarkets such as Pak’nSave and Countdown will offer you vouchers giving you up to 6 cents off per litre. If you’re staying in New Zealand for an extended amount of time, it might also be worth picking up a free Countdown card which will give you additional discounts on fuel at selected petrol stations. 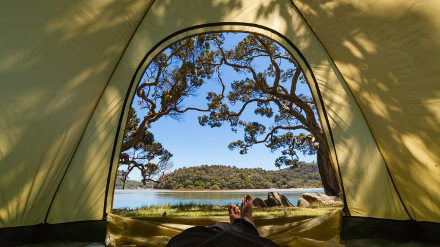 Being a country that loves camping, New Zealand has extensive facilities in this regard. Major networks are represented such as Holiday Parks, Kiwi, and TOP 10. A shared kitchen and bathroom facilities are usually available and sometimes there are extras such as BBQ’s, pools, TV lounges, rental cabins, and play areas. What driving license do you need in New Zealand? You must have your driving licence on you at all times when driving in New Zealand – don’t leave it behind for the day in your accommodation. As an international driver, you can drive with your home country’s licence for up to 12 months. If you leave and re-enter New Zealand, the 12 months limit is reset. If your licence is not in English, you will need to carry an approved translation or obtain an International Driving Permit. Contact your local automobile association for information about translators and IDP procedures. Vehicle hire companies will often require that you hold a full/open license meaning that you’ve completed any required provisional period for new drivers. It’s also more difficult to hire a vehicle if you’re under 21 and surcharges may apply to anyone 25 or younger.